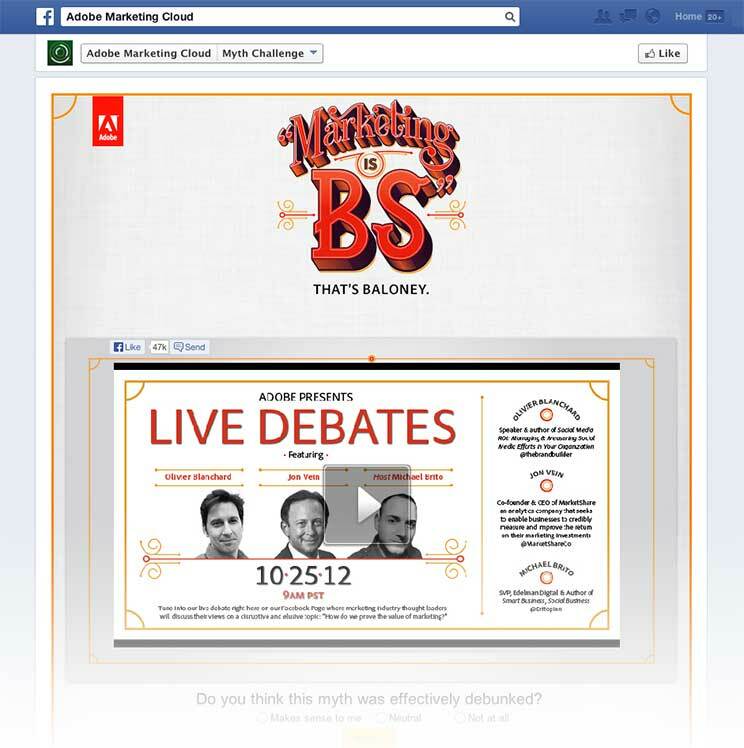 Adobe faced a host of challenges as it moved into a burgeoning digital marketing space. Given the noise, Adobe needed to reposition its brand while raising awarenesss and demand for its new offering, Adobe Marketing Cloud. With a focus on marketing to marketers and decision makers, Adobe needed a campaign that was not only bold and creative, but also highly effective in its approach. Ahead of delving into its repositioning and marketing efforts, Adobe tapped Edelman to lead a study, Click Here: The State of Online Advertising, to better understand the challenges marketers face. 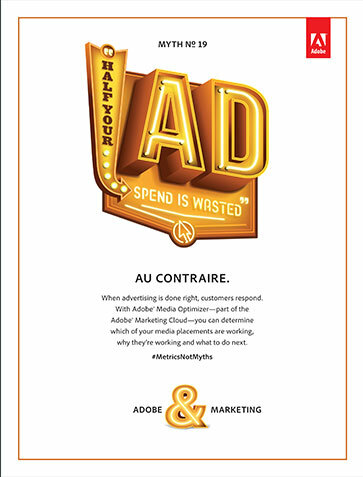 Adobe unveiled the rebrand of its end-to-end digital marketing and analytics solution, the Marketing Cloud, in October, which coincided with the launch of a powerful campaign, “Metrics, Not Myths.” Adobe led the campaign with a bold manifesto created by Edelman, Marketing is Bullsh*t, which ignited the spirit of the campaign. 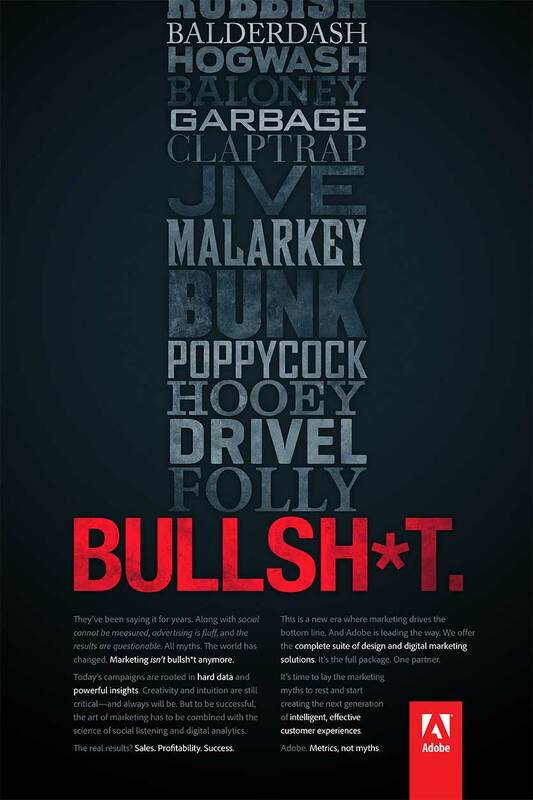 The “Metrics, Not Myths” campaign was supported by social media, PR, and advertising, led by Edelman Digital, Edelman, and Goodby, Silversteing & Partners, respectively. The Myth Challenge app was home to a live debate, “How Do We Prove the Value of Marketing?” featuring industry influencers Jon Vein and Olivier Blanchard, and a humorous video series created by Goodby, Silverstein & Partners. The series was a mix of ironic, humorous—and sometimes provocative—ad-like videos, alongisde more serious, data-driven customer success stories, infographics, and lighthearted man-on-the-street takes of the customer and consumer point of view on data and marketing. 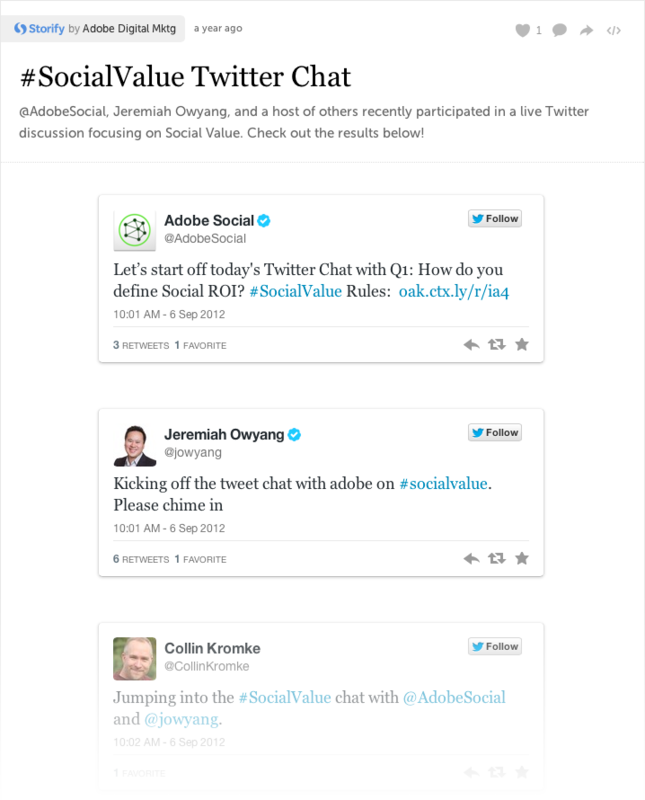 These videos were strongly amplified on social, and supported by both paid social and advertising buys. Anchoring the campaign was the need to demonstrate and essentially prove that marketing isn’t BS—it’s measureable and impactful. 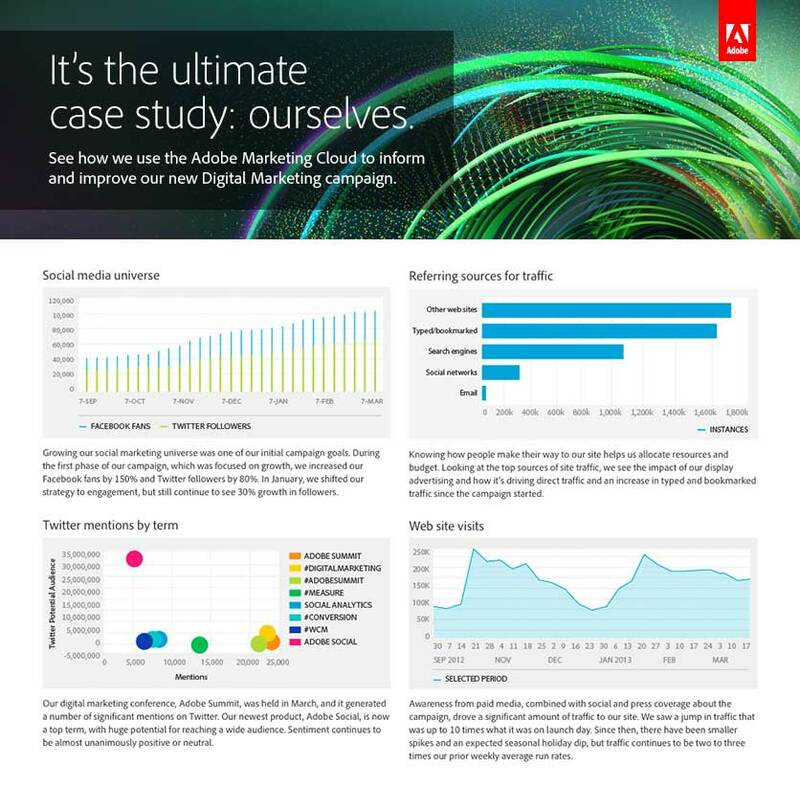 Adobe executed this with the utmost transparency with its Ultimate Case Study, where real-time updates on the impact and learnings from the “Metrics, Not Myths” campaign were tracked and shared.